Welcome to the Phuket Questions and Answers section of Phuket Travel Secrets.com. 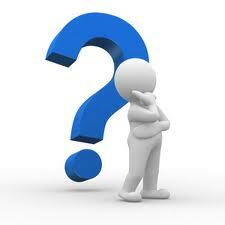 Do you have a question you would like to ask us about travelling to and around the island of Phuket? When planning your vacation you probably have many questions you want to ask, we know we did on our first trip to Phuket. One of our first questions was what are the best things to do and how long do we need to see and do everything. Back then we didn’t have the luxury of the internet and we had to rely on information from our travel agent, whether or not they had actually been to where we were going or not. Each month, we receive numerous emails, regarding questions about travelling to and around Phuket, Koh Phi Phi and Krabi. We love nothing more then to be able to help readers find the answers to questions about their holiday. Whether it’s to find out the best beach to visit, tips on where to stay, shopping and the best places to eat at. 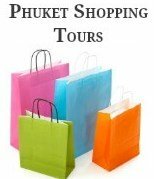 We have decided it would benefit all our readers, to have a questions and answers page on our website - our own mini forum page if you like, called Phuket Questions. These questions can be anything related with travelling to and around Phuket, Ko Phi Phi or Krabi. Our own personal experience is based on previous and ongoing travel to Phuket and the surrounding areas of Thailand. This is your opportunity to ask us questions you may have while planning your travels, or even if you are just thinking about taking a trip to southern Thailand. Don’t be shy, please feel free to ask any question that comes to mind about your vacation. Or help and be helped, if you have travelled to Phuket, Krabi or Phi Phi and know an answer to someone else's question please feel free to add your answer. Naturally, we might not have all the answers to everyone’s questions, however if we don’t have the answer we will try to source the correct information from friends that are based in Phuket. It's simple, just fill out the blanks in the form below to ask your question, and please feel free to add a picture or two if you wish. Oh and don't forget to check Phuket Questions again to see your answer. Please Note: Phuket Travel Secrets does not accept any responsibility for any injury, damage or inconvenience that may result from recommendations given on this website. Please use travel information on our site and our newsletters with common sense and also at your own risk. What is your Phuket Question? Do you have a question about Phuket? Ask it here! 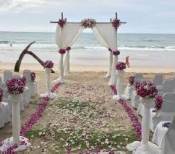 Where is the best place to have a wedding in Phuket?